After a lovely couple of days of exploring Lombok, it was time to head back to Bali. As I didn’t trust flying (especially after that Wings Air story), we booked ‘fast cruise’ tickets to Bali. The ‘fast’ one-hour transfer turned into six hours with no food or drink. The boat was swaying and rocking so much that I was pretty sure that we were going down like the Titanic. I was, needless to say, feeling very very seasick! By the time we arrived back in Bali, we were both exhausted and hungry, and we still had another an hour or so drive to Ubud, our home for the next couple of days. 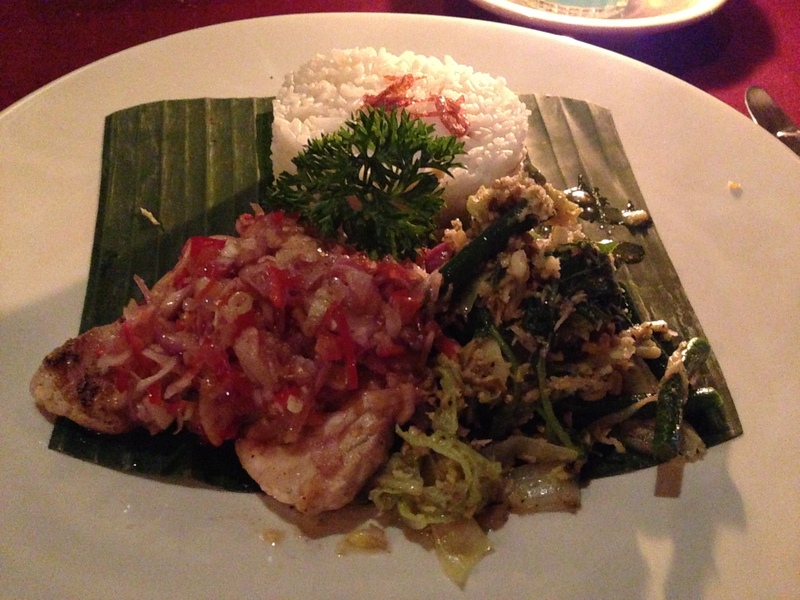 Ubud is Bali’s ‘cultural capital’ and was SO different to the rest of Bali that you actually forgot you were there! The town was full of cute little coffee shops, cool art galleries, yoga studios and Hindu offerings on every corner. After being by the beach for the last couple of weeks, Ubud was like a breath of fresh air. It was so nice to walk down the streets and not see your usual tourist tat. What makes Ubud so interesting is that right in the heart of town are hundreds of rice paddies. There were so many rice paddies that a lot of restaurants and bars had views overlooking them. We spent many an evening admiring the view with a few drinks – it was really quite special. 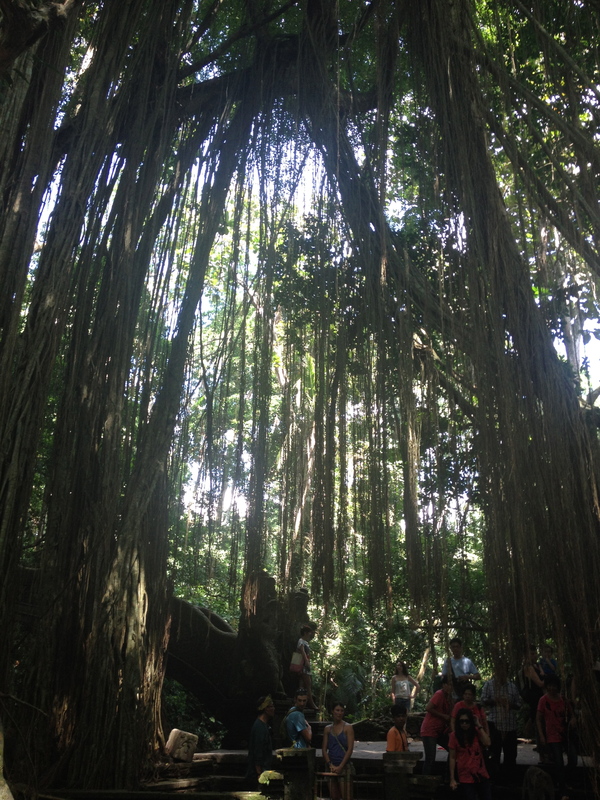 The following morning we went to the infamous ‘Monkey Forest Sanctuary’ – a little jungle overrun by big greedy monkeys. There were even women selling bananas to feed the crazy monkeys at the entrance. They did NOT need feeding. We watched one couple buy some bananas and they were pounced on within seconds. 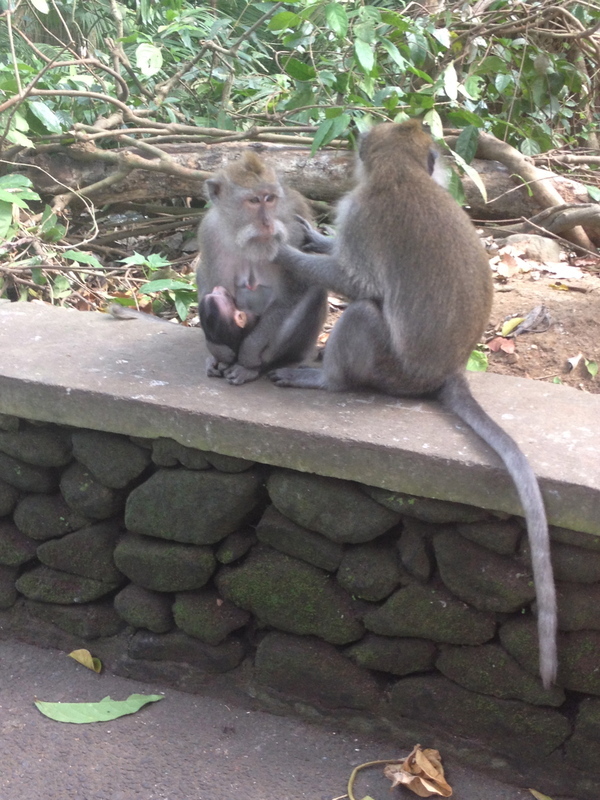 There were so many aggressive monkeys walking around that I was actually quite scared of them. If you had something they wanted they’d start charging at you. 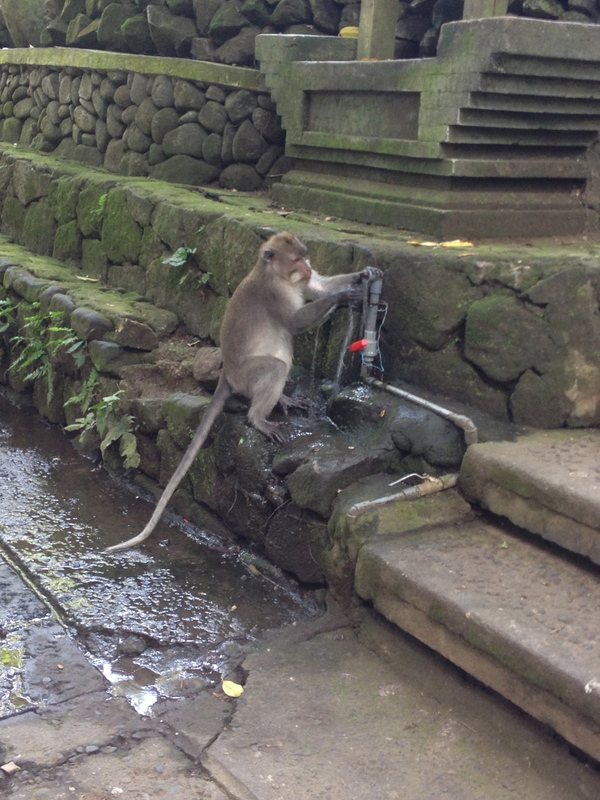 One tourist was staring at a monkey in the eyes and it went insane, hissing and charging at the tourist. The sanctuary employees shouted at the tourist to stop staring and stand still to make it back off. They weren’t cute monkeys anymore. They were insane. I saw a French guy prodding a monkey with a stick and the monkey jumped onto his shoulders and bit him in the neck! It was a strange place and I couldn’t wait to get out of there. 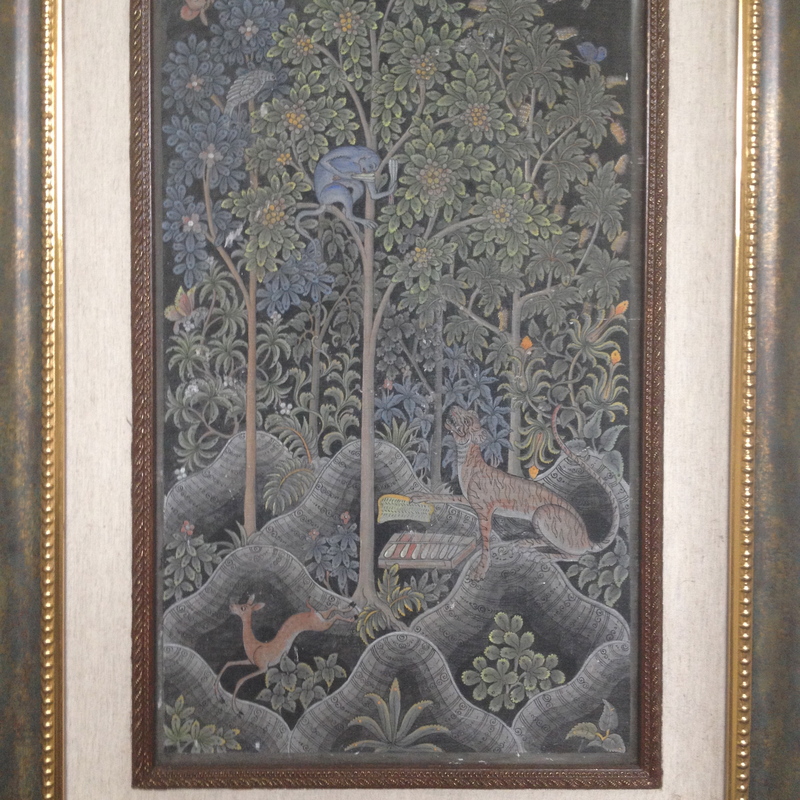 After our little monkey adventure, we checked out one of Ubud’s many art galleries. 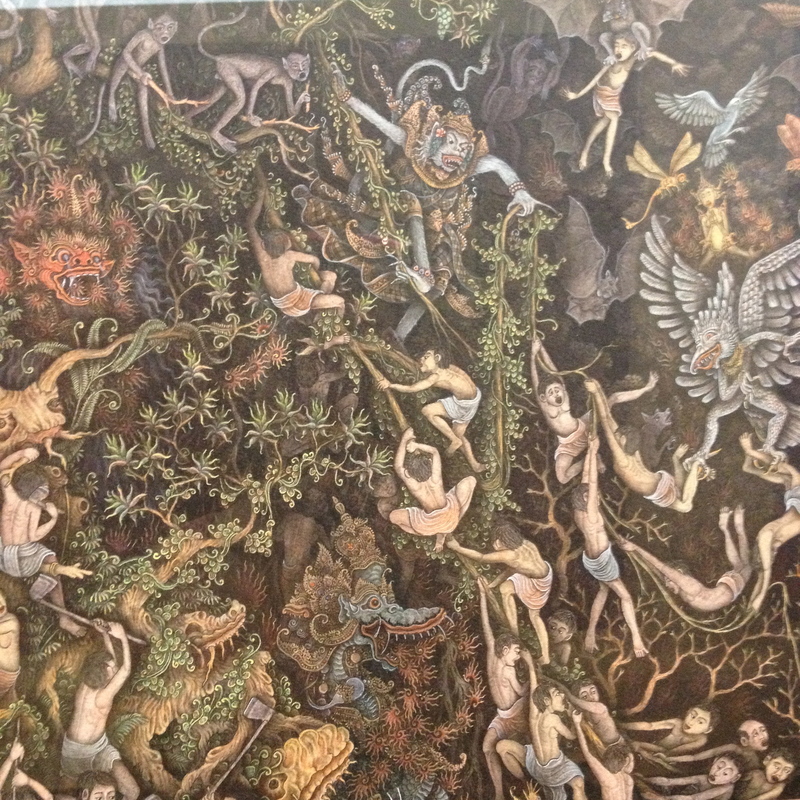 There was this amazing little exhibition on art miniatures by this arts village in Northern Bali. The miniatures were amazingly detailed, and some had even been painted by seven year olds! 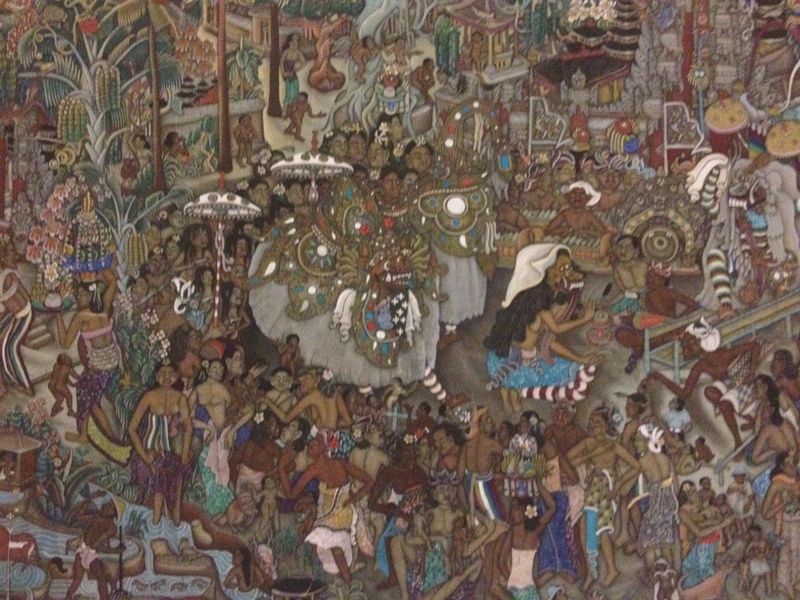 The other paintings in the gallery were depictions of Balinese fables. My favourite was the tale of a monkey and turtle swimming in the sea when the monkey realised he couldn’t make it back to shore, so the turtle took it on his back and swam it to shore. When they arrived at the shore the monkey and a tiger grabbed the monkey, put it on the BBQ, and, in true Balinese fashion, made a nice satay dinner! Made famous by Eat, Pray, Love, tourists flock to Ubud every year for a yoga retreat, or for some spiritual healing. I’ve never seen so many yoga shops and studios in such small vicinity! There were Australian women EVERYWHERE in yoga attire, holding mats and talking about how they’d come to Ubud to ‘find themselves’. It was all a bit too cliche for me.